Toward the end of last year we examined ways in which you can offset your flight emissions by investing in projects that reduce greenhouse gas emissions. What if you want to go one step further and offset all of your emissions to become a completely carbon neutral individual? Is this something that is affordable to the average person? Calculator 1: The Carbon Neutral Calculator - This one is more geared toward businesses, although you can use it for yourself too. Calculator 2: The Australian Greenhouse Calculator - This one measures the emissions of your entire household. You can then just divide the result by the number of people who live there to get a rough estimate of your personal emissions. I decided to use both to measure my emissions for 2016. I run a small design business (with a strong policy on sustainability), so I figured using both will ensure I've measured my emissions for both my business activities as well as my personal. Calculator 1 told me I emitted 13,000 tonnes of CO2. Calculator 2 told me that my household emitted 24,000 tonnes of CO2. There are only 2 of us so that makes my emissions roughly 12,000 tonnes. The results are much the same, which is reassuring. Next I needed to decide which company to offset with and what kind of projects I wanted to support. 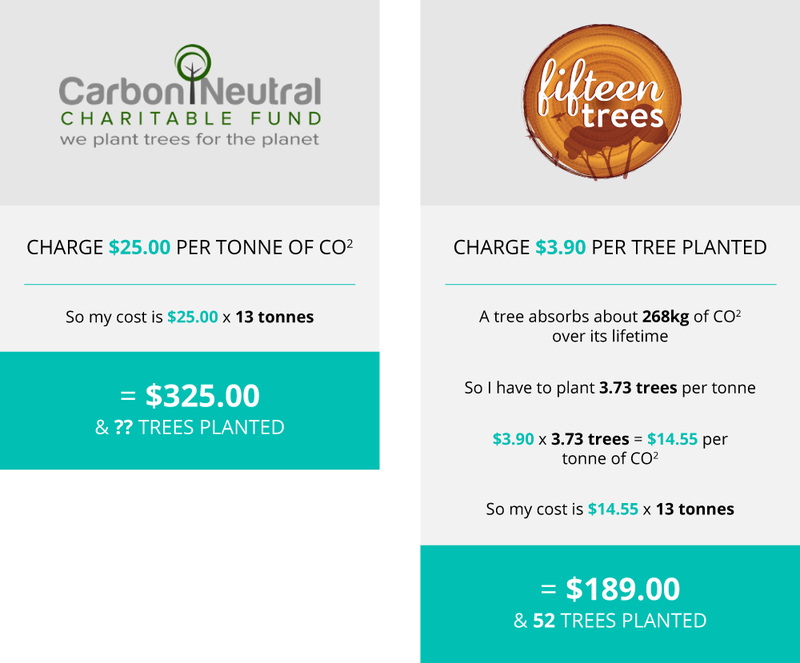 I contacted a few offsetting companies and was told that the best kind of project to support for such a low level of emissions is tree planting. This is because you can more or less measure exactly how many trees need to be planted in order to sequester enough carbon for a single person to become carbon neutral. Companies with big emissions pay much larger sums of money to offsetting services and usually this money gets distributed to a range of projects. This could include: supporting and investing in renewable energy initiatives like wind farms & hydroelectricity, water treatment programs, capturing methane from waste tips, and protection of old growth forests that already sequester a lot of carbon. I'd used 15 Trees in a previous year, and they were wonderful to work with. So at a lower expense, it was a no-brainer. It's amazing to realise that for the cost of a good pair of jeans you can walk the earth for an entire year with no carbon footprint at all. I believe this is more than achievable for the average Australian. 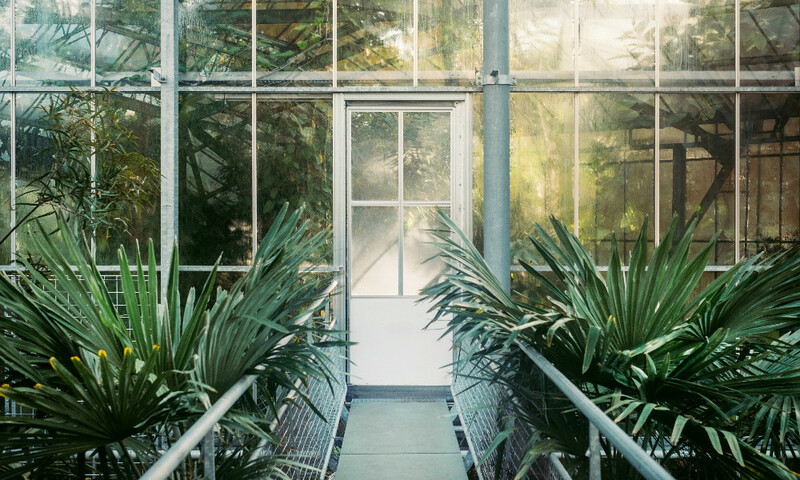 Images: Banner and 1st body from Unsplash, offset image provided. Sonja Meyer runs a graphic design studio in Melbourne, providing socially and environmentally conscious design solutions across print and digital for businesses and organisations who share values of sustainability.